These days, Elon Musk is probably best known for his work on SpaceX and Tesla. But along the way, he also teamed up with Y Combinator president Sam Altman to co-found OpenAI, a research group dedicated to building AI that benefits humanity. But this weekend, Musk took to Twitter to confirm that he’d left the organization — citing disagreements with the group’s direction. 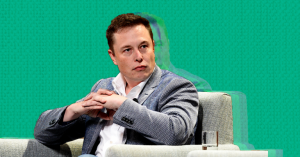 It’s not clear whether Musk is retaining any involvement with OpenAI going forward, but he confirmed that he no longer had any management or board oversight. That’s striking, because Musk has been outspoken about his fear of powerful AI — but it’s likely that the decision for Musk, who spreads himself thin over several ambitious ventures, was more about time management than ideology. “I had to focus on solving a painfully large number of engineering [and] manufacturing problems at Tesla (especially) [and] SpaceX,” he wrote in a tweet explaining his departure from OpenAI.